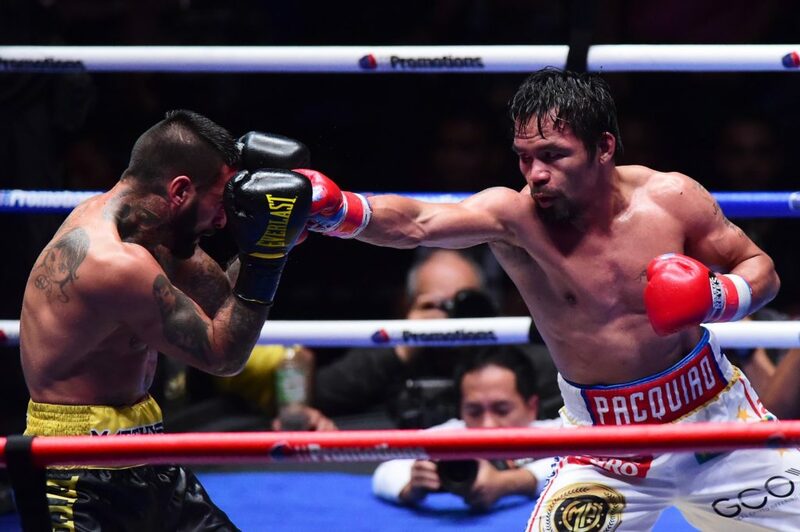 Kuala Lumpur, 15 July 2018 – The excitement and buildup to the Fight Of Champions Kuala Lumpur culminated on a high today as boxing fans saw a determined Manny Pacquiao winning the WBA Welterweight World Title, after overcoming defending champion Lucas Matthysse from Argentina. The fight ended after referee Kenny Bayless declared a technical knockout in Round 7 of the top-billed fight. Prior to the TKO, the Pacman had brought The Machine to his knees three times. 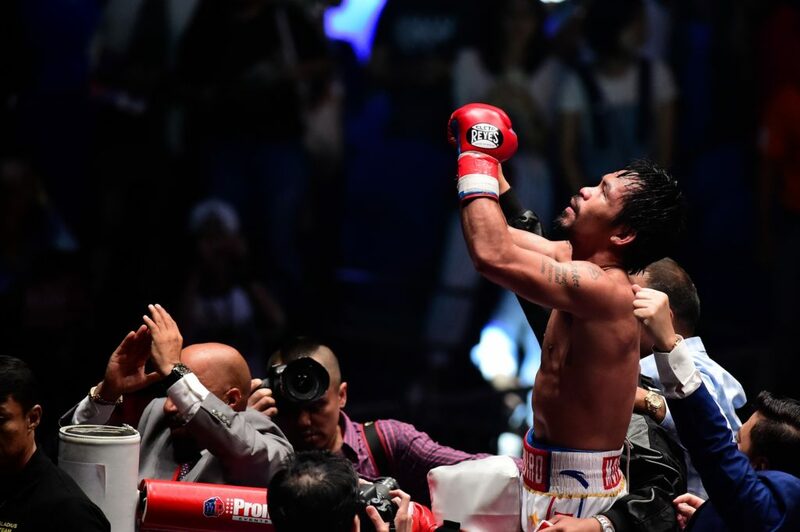 The 39-year-old Pacquiao adds yet another win to his haul, now totalling 60 (60-7-2, 39 KOs). The fight card also included 20 Malaysian and international fighters in the undercard match-ups, with another three title fights in contention. Carlos Canizales of Venezuela defended his WBA Light Flyweight World Title while Jhack Tepora of the Philippines won the WBA Interim Featherweight World Title and Moruti Mthalane of South Africa took home the IBF Flyweight World Title. The event was attended by a number of VIPs. From Malaysia were Prime Minister Tun Dr Mahathir Mohamad, Defence Minister Mohamad Sabu, Foreign Minister Dato’ Saifuddin Abdullah, Youth and Sports Minister Syed Saddiq Syed Abdul Rahman, Communications and Multimedia Minister Gobind Singh Deo and Water, Land and Natural Resources Minister Dr Xavier Jayakumar, while the vocal fans from the Philippines were heartened by the presence of President Rodrigo Duterte and Philippines Ambassador to Malaysia Charles C. Jose. Also in attendance were Argentinian Ambassador to Malaysia Manuel Balaguer Salas and Ukrainian Ambassador to Malaysia Olexander Nechytaylo. The first bell of the day at 7am was for the Junior Featherweight fight between Ratchanon Sawangsoda from Thailand and Juan Miguel “The Boss” Elorde from the Philippines. The match ended with Elorde emerging the winner after delivering three knockdowns to Sawangsoda in the third round, resulting in a technical knockout being declared. With this win, Elorde’s record stands at 26-1, 14 KOs. Next in the ring were home favourite Theena Thayalan from Kajang taking on Siddarth Ravin Varma from India in a Welterweight fight. The 20-year-old Malaysian, the younger of two Klang Valley boys seeing action today, injured his shoulder in the first round of the fight that he considers the biggest in his career to date. With limited movement in his main hand, he nevertheless soldiered on in the four-round match that ended with a Split Draw result. Moruti Mthalane from South Africa won his IBF Flyweight World Title against Muhammad Waseem from Pakistan by Unanimous Decision in a closely-fought match scored at 114-113, 114-113 and 116-110. He had won the same title in November 2009 and successfully defended it four times, before eventually vacating the title. With this win, Mthalane’s record reads 36-2, 24 KOs. The action in the WBA Light Flyweight Title match between incumbent Carlos Canizales from Venezuela against Lü Bin from China came down to the 12th round, when the challenger was defeated with a technical knockout in the final round. With this successful defence of his title, Canizales improves his record, now at 21-0-1, 17KOs. 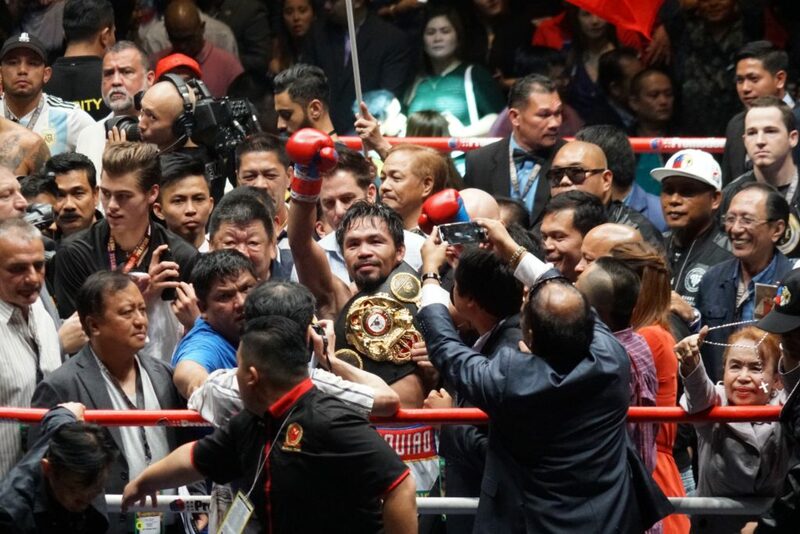 Fans from the Philippines continued to have cause for cheer as Jhack Tepora of Cebu City in the Philippines overcame Mexican contender Edivaldo Ortega to win the WBA Interim Featherweight World Title by technical knockout in the 9th round. Tepora adds this victory to his impressive tally of wins, currently at 22-0, 17KOs. The big fight that all had been eagerly awaiting followed the Ortega-Tepora match-up, which was then followed by another boxer from the Philippines taking the ring – Vincent Astrolabio fighting Yuuki Kobayashi from Japan in an eight-round Super Flyweight contest. The contest ended with a fourth round TKO favouring Kobayashi, which takes his career record to 18-1, 9KOs. Next up was Jay Ar Magboo from the Philippines taking on George Kambosos Jr from Australia in an eight-round Lightweight fight. Kambosos continued his winning form with a third-round TKO, remaining unbeaten in his professional career with a record of 15-0, 9KOs. Eleftherios Tzouramanis of Australia’s eight-round Welterweight fight against Jayar Inson of the Philippines marked another win for the Philippines camp. Inson was declared the winner by Unanimous Decision, taking his professional career tally to 16-1, 10KOs. The penultimate fight saw YongQiang Yang of China pitted against Harmonito Dela Torre from the Philippines in a Super Featherweight match-up. The fight ended in the third round, after a TKO result that saw Yang triumph. Yang’s record now stands at 11-0, 8KOs. Closing out the bout sheet was the four-round Featherweight match between Kuala Lumpur native Aiman Abu Bakar and Abdi from Indonesia. Prepared for a tough fight against the Indonesian, the 26-year-old Malaysian made sure to show his strength right from the first round. Having picked up a cut above his eye after being headbutted, he did not take unnecessary risks, confident that his performance had put him in a strong position to win by Unanimous Decision. Aiman’s career record now stands at 8-0, 3 KOs. Malaysia previously witnessed world-class professional boxing 43 years ago when Muhammad Ali fought Joe Bugner in Stadium Merdeka in July 1975.